The Reluctant Fundamentalist is a 2013 political thriller drama film based on the 2007 novel, The Reluctant Fundamentalist by Mohsin Hamid, directed by Mira Nair. The film stars Riz Ahmed and Kate Hudson in lead, while Gary Richardson, Liev Schreiber, Kiefer Sutherland, Imaad Shah, Om Puri, Shabana Azmi, Chandrachur Singh, Meesha Shafi plays a supporting roles. The soundtrack of film is composed by Michael Andrews, Atif Aslam, Mohsin Razaa, Farhad Humayun Syed, Wazir Afzal, Amy Elizabeth Ray and lyrics are penned by Javed Qureshi, Faiz Ahmed Faiz, Overload, Hazeen Qadri, Amy Elizabeth Ray. 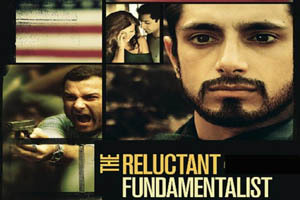 Here is the link of all the songs lyrics and videos of The Reluctant Fundamentalist.